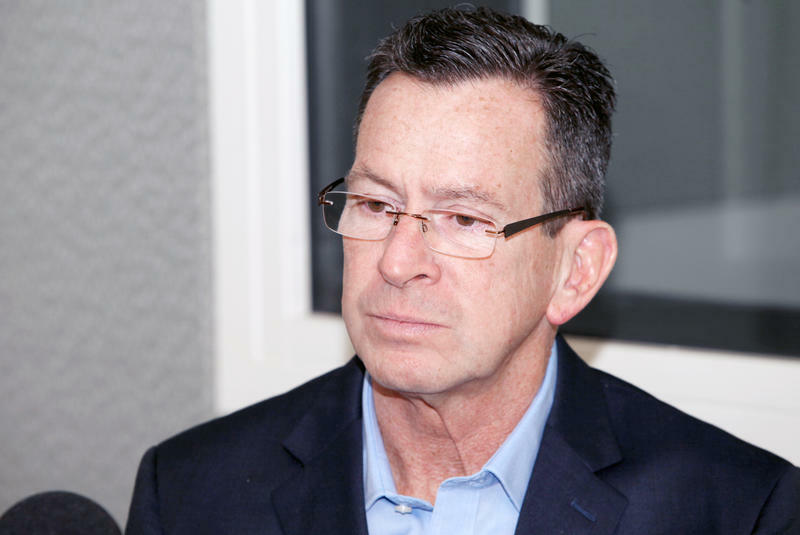 "It would be great fun to be really popular, and I know how people have done that -- by not doing their job," Malloy said. In a Q Poll released last summer, voters were asked if they think Malloy really cares about them. Sixty-one percent said no. "Well, I've had to do really hard things," Malloy said. "I don't think that the hard work that we've done to reshape Connecticut is fully appreciated." 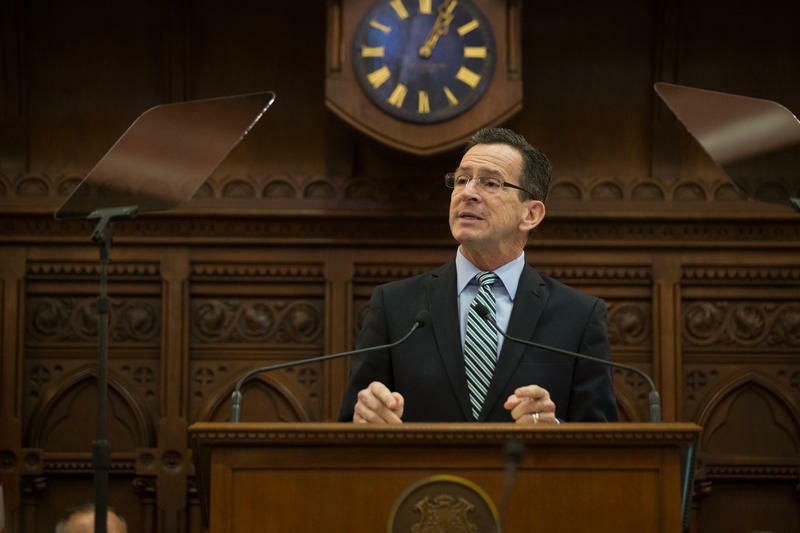 Malloy commented on budget work, the growth of the state economy, efforts to reduce homelessness, and transportation developments, among other topics. A few highlights are below. "I think most people think that I'm spending far more money per year than any of my predecessors. And the opposite is true. "I think the problem with Connecticut is it hasn't grown. And I would say that part of that lack of real vital growth in Fairfield County has experienced growth, when balancing off some some of the other areas. But but the lack of growth means that folks who got in the habit of going back to the well, but they didn't just go back to the well to get more money. "They then made promises to people for political purposes that were not in the best interest of the state government... to give more money and more promises and more benefits to folks with a side agreement not to fund those... We're looking for ways to spend our money far more efficiently." "We're finally seeing it in advanced manufacturing.… I think in light of all of the other things, it's hard for people to put those in perspective.... The advanced manufacturing industry is growing. We've seen a lot of a lot of jobs created in a whole bunch of different areas of the economy." "Just yesterday, we celebrated that Connecticut is the first state in the nation to end chronic homelessness. Now, what that means is someone is chronically homeless if they’ve been [out of a home] for a year in one to three episodes, and has a disability that contributes to that. "So many of these folks have physical or mental challenges, or dependency challenges, and just this last year we moved 1,200 people from homelessness to having a home who were in that category. No other state's done that. Just like when we ended chronic homelessness amongst veterans -- first state in the nation to do that -- one of only three states now have ended homelessness for veterans. "The problem with those who are chronically homeless is they then eat up all kinds of additional services that are at the hospital emergency room on a regular basis. They don't maintain health care; they don't maintain a job. They're not able to contribute. "I will go so far as to say that that if you look at the 1,200 people that we moved from chronic homelessness in the past 12 months, we're saving a tremendous amount of money that -- maybe not on every one of those, but on an aggregate basis -- by having done what somebody should have done years ago. And I'm not just talking about seven years ago. Maybe we should have gotten it done earlier, but no other state has done it. And all of these things -- the bad decisions over multiple generations -- don't get changed in a single generation. But you can make yearly progress. And I think that's how we have to measure that." "What I think is helping the economy is investing. I mean, I think transportation is a gigantic problem. And in the state of Connecticut, we are not sharing our fair share of New York City area growth -- in part because people don't think that you can get in into and out of Fairfield County anywhere other than Greenwich and Stamford from the New York area. "That growth should be spread out -- certainly as far as Bridgeport, but we don't have a transportation system that allows that to happen. We're losing opportunities and losing jobs. "If you look at what's happened in the in the greater [New York] and the tri-state area, nine out of 10 jobs have actually occurred in New York City -- in Brooklyn, in Manhattan in particular. Just as the system that you referenced in Massachusetts is not barred, or border tolls, it's the tolling of a road system in its entirety. "The federal policy against border tolls is pretty significant, and has been exercised relatively recently in the case of Rhode Island. So we are going to have a total discussion -- we should have a mature one -- about what is legal and what is not legal, and simply having tolls at your borders is not legal. "I would prefer that the legislature had approved for the citizenry to approve them. I'm sure they would have a lockbox that would make sure that any monies raised, including from any other source that might be added, would only be spent on transportation. I've often said that that really needs to be the precursor to a broader discussion. "Having said that, since they didn't do that, we are running out of transportation dollars, because people are going further and further on the same gallon of gas. And lots of cars that aren't even using gas or are oil for that matter. So we better do something soon to resolve that issue." Connecticut definitely has demographic and fiscal challenges, but the state may actually begin to benefit from its comparatively high unemployment rate, according to economists. Connecticut’s business community sees solving the state’s seemingly ever-present fiscal crisis as key to economic recovery in the new legislative session. 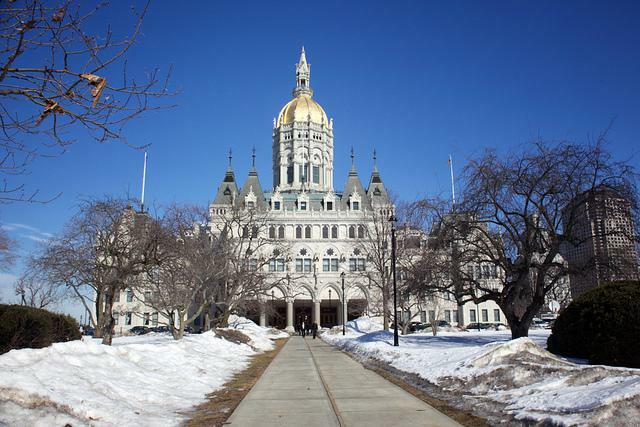 But the Connecticut Business and Industry Association is also focused on a couple of specific priorities for lawmakers.